Games in all forms and of all types can be extremely fun and some very rewarding. Perhaps none feel more rewarding than puzzle games, which task you with solving brain-teasing, mind-bending enigmas that every so often prove to be a little more challenging than you thought they would. If puzzle games are your forte, here we found very attractive and interesting one. Our proposal for you today is Fishing Mania Island the fishing puzzle game that will definitely glue to your Android device, especially if you’re fishing lovers or simply you want to explore the mystique beauty of the underwater worlds. On first look, you can notice the unique and well-designed matching element. Thru the whole game, the point is to collect various and adorable fishes. So, feel free to download and try it. The game is playing by using the finger touch as a hook to link and match fish or more fish of the same color in the one link to collect them. As you go deeper and deeper with this lovely fishing puzzle game, the excitement enlarges! 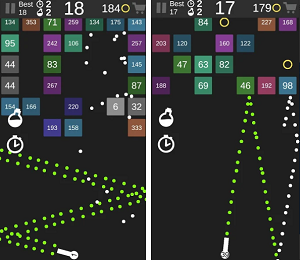 The addictiveness arises with the possibility for updating hundreds of new levels. An amazing fun is out of the question, so download Fishing Mania Island for free on the link bellow. Enjoy it by yourself or share it with your friends. Let’s fishing!